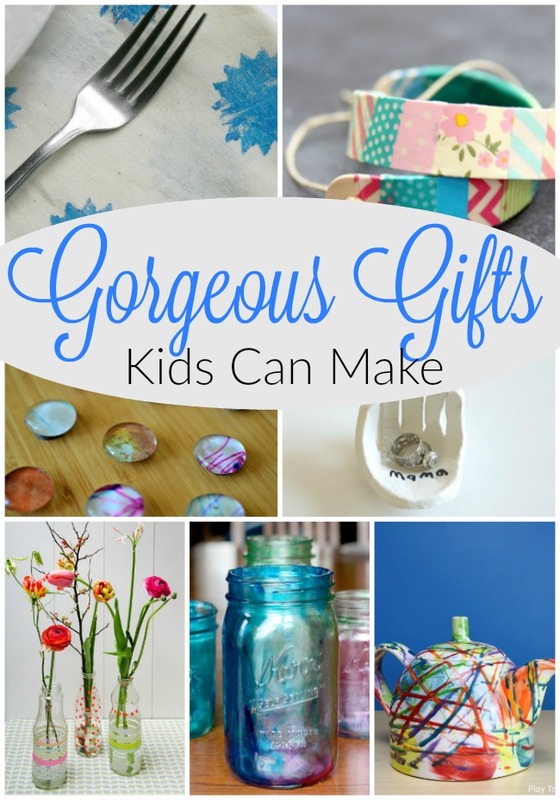 I am eager to partner with Oak Meadow to bring you this sponsored post on fabulous classic crafts for kids. Sometimes I make things far more complicated then they need to be. Okay … I do this quite often. For me I think this has to do with wanting to give my little ones the best of everything. I don’t mean toys or any material things actually. I mean that I want them to see the neatest things, do the coolest crafts, explore the best activities, and have incredible experiences. I must say, this puts a bit of self-induced pressure on a Mama. But over the past year or so, I have come to realize that I don’t always need to reinvent the wheel. Incredible Mamas have blazed the trail for me, my own included. There are so many amazing crafts that I remember doing in my childhood. And sometimes (okay … often) it is a fabulous idea to give myself a break and do a classic craft. 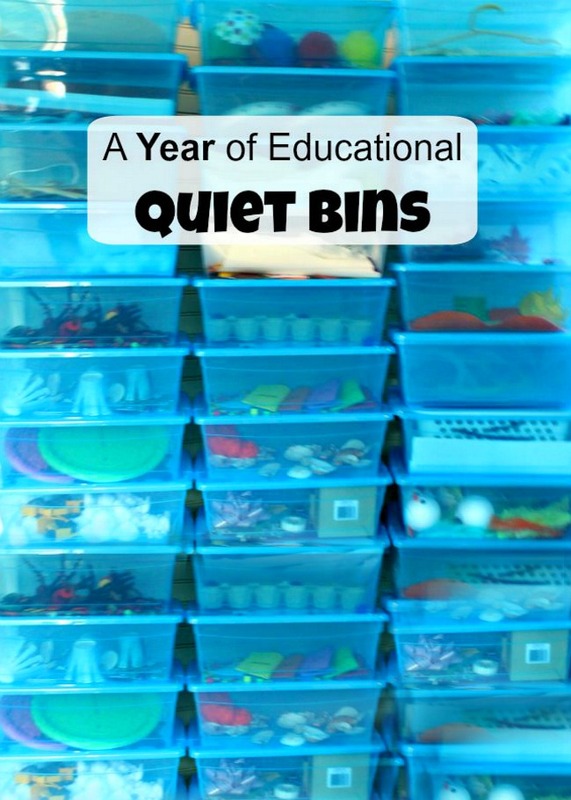 Today I am thrilled to share with you the BIGGEST LIST of classic kids crafts I have ever found. 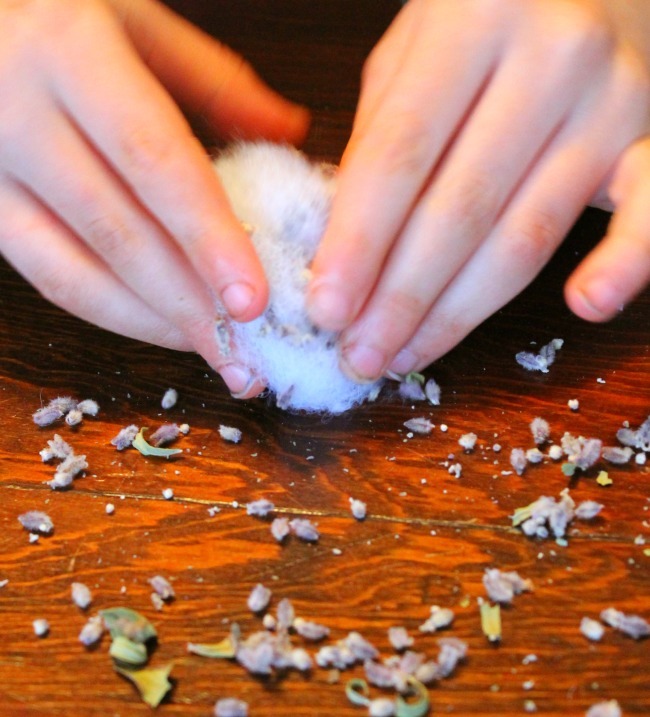 ALL of these crafts are found in the amazing Oak Meadow Crafts for the Early Grades. 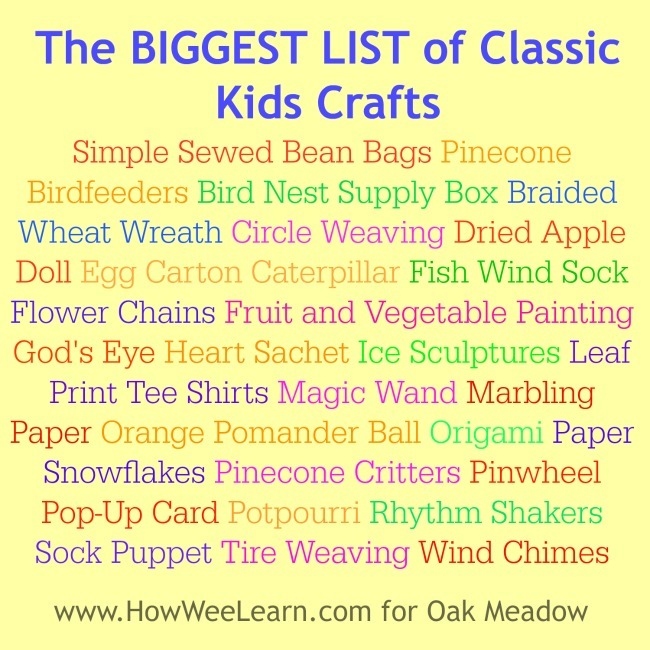 Oak Meadow has found every single craft from my childhood and compiled them into this beautiful, nostalgia filled, sanity saving resource for Mamas who want to do lovely crafts with their kids. I am pretty sure they created exactly for me. And since we are rather similar, my friend, I believe it is for you too. 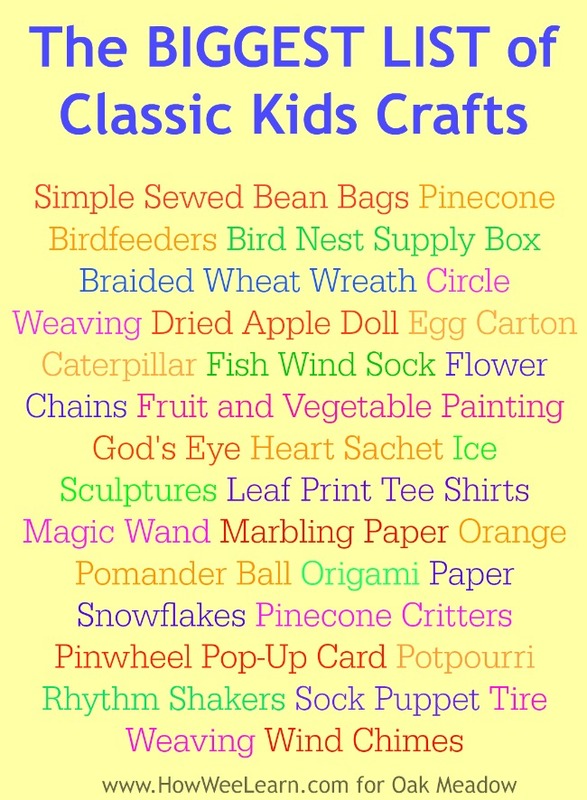 Here is THE BIGGEST LIST of classic kids crafts – which, I should mention, is less than half of the craft tutorials in Oak Meadow Crafts for the Early Grades. I also wanted to share one sweet craft we made from this book lately. We made adorable Sweet Hearts for Sweet Dreams. 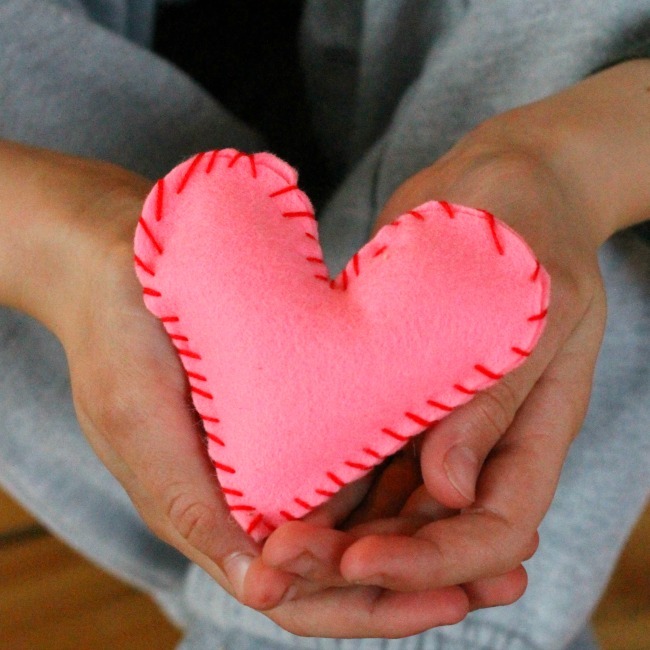 Did you make heart sachets in your childhood? I sure did. We would then pop them into our pillowcase for lavender scented sweet dreams. We cut out two identical heart shapes from felt and the boys did a simple whip stitch with embroidery thread connecting the two hearts together. Aren’t these classic kids crafts fabulous? Whether you would like to get a little nostalgic, or would just like some simple, classic, and already planned crafts to do with your little ones I would strongly recommend this book. 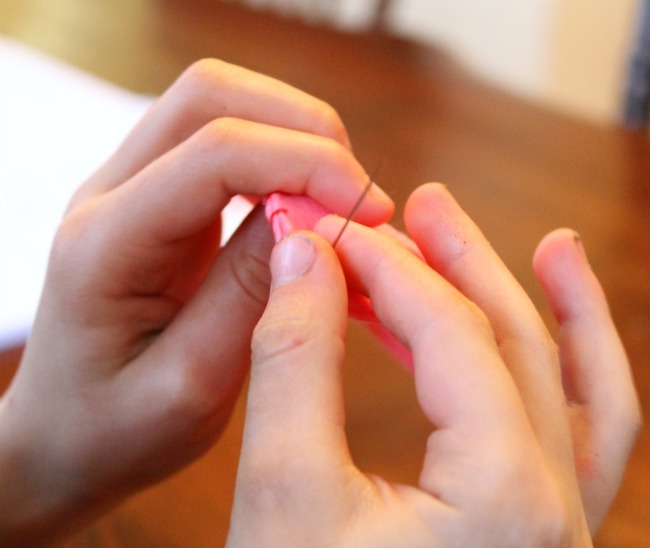 Your little ones will adore the crafts, and I must say, I quite enjoy doing them a second time around. Best of all, this book – as well as everything else in the Oak Meadow Bookstore – is on sale! This sale runs February 14-28, 2017. Receive 20% off all items in the bookstore. 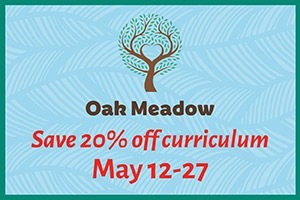 If you are interested in enrolling in Oak Meadow’s distance learning school, you will receive 10% off tuition. Thank you so much for reading friends, I hope you are having a fabulous week. « Flying into a Letter Recognition Activity!